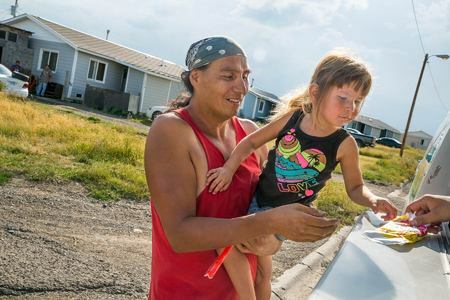 In 2012, Isaiah and Ian Webber returned home to the Blackfeet Reservation looking for work, but faced slim prospects, as the reservation’s unemployment rate hovered around 69%. Isaiah had just completed two tours in Iraq and Afghanistan and his younger brother, Ian was home from college for the summer; both needed jobs. After months of unsuccessfully looking for work, the Webber family decided to create their own opportunity—the Kool Breeze Ice Cream Truck. 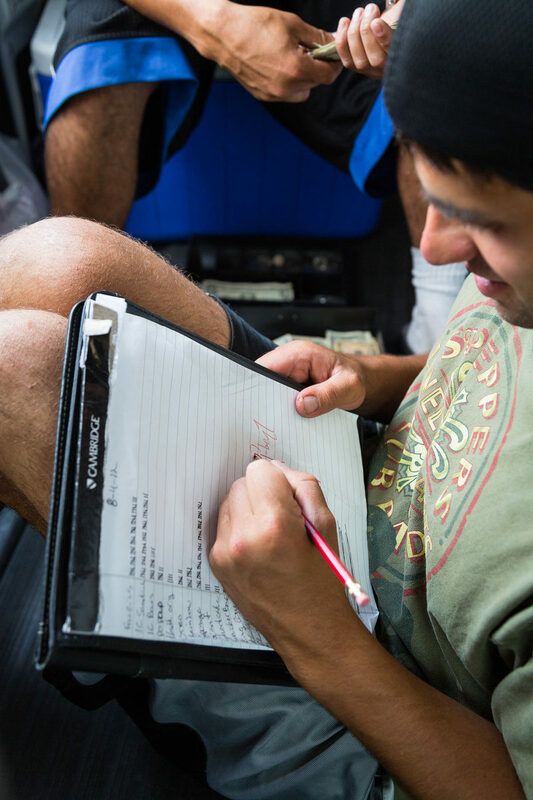 Ian and Isaiah converted a passenger van into a mobile vending truck while their mother, Susan, used her accounting background to craft a business plan. 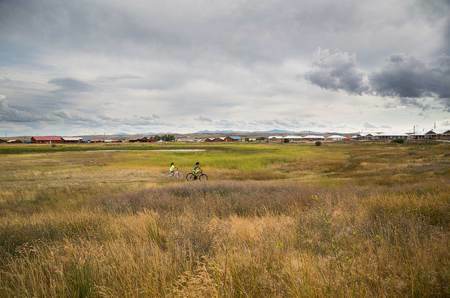 With the assistance of a matching grant from the Blackfeet Tribe, they purchased the first month’s inventory. 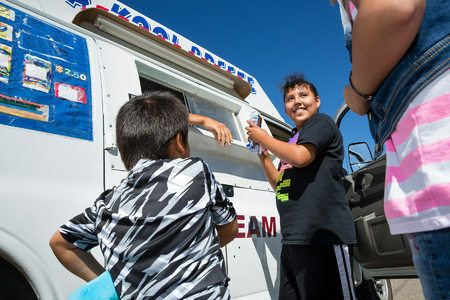 Kool Breeze became a community-wide success, selling out of ice cream week after week throughout the summer of 2012. The Kool Breeze Ice Cream Truck enjoyed a second successful summer in 2013. The owners expanded their menu to include 20 ice cream treats plus new products like candy and drinks. 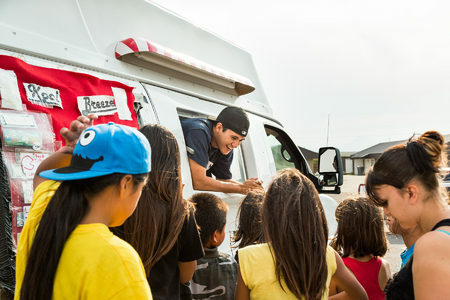 They repainted the exterior of the truck, hired three employees and even offered delivery service for “ice cream emergencies.” Ian has gained recognition around town, where he is affectionately known by all as “Ice Cream Man.” Looking toward the summer of 2014, the Webbers’ goal is to add another truck to the fleet in order to serve the reservation’s outlying communities. 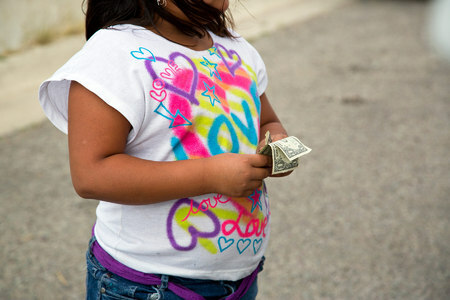 Kool Breeze will also accept credit cards and food stamps. Susan’s long-term goal is to extend the business into the winter by selling espresso and coffee drinks. 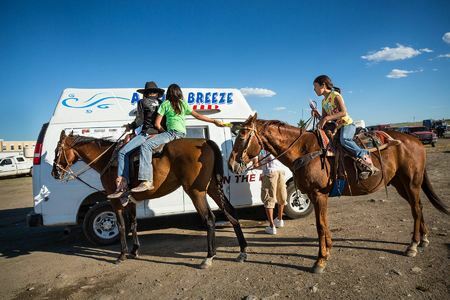 Kool Breeze is a rare example of entrepreneurial achievement on the Blackfeet Reservation, where there are very few Native-owned businesses. 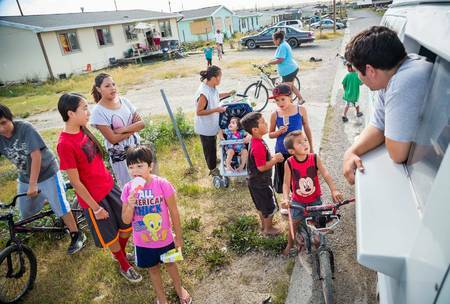 Browning kids are thrilled for the arrival of the Kool Breeze Ice Cream Truck on their street. 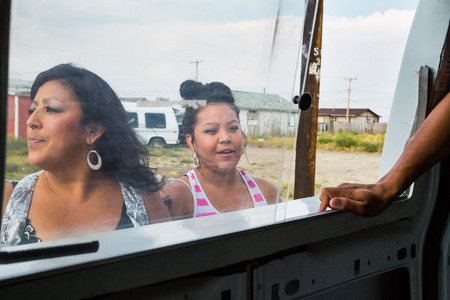 Isaiah Webber works the window as customers line up outside of the Last Star Homes housing development on the Blackfeet Reservation. 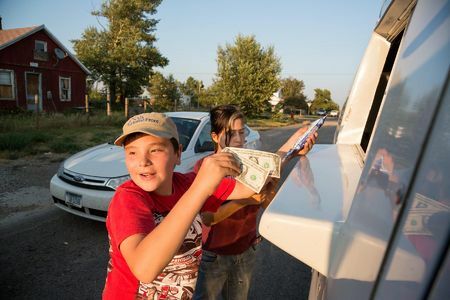 Ian Webber cruises his ice cream truck through the streets of Browning, in search of customers while blasting music from his ipod over the truck's speakers. Youth rodeo particpants buy ice cream during a break. Kool Breezes most popular products are the novelty ice cream pops like Batman, Madagascar, Sponge Bob and Hello Kitty. Carlin Grounds purchases ice cream sandwiches for herself and her adult daughter Aubrey Grounds. Left to right, Ian Webber (22) and Robert Hall (27) take a break and enjoy some ice cream. 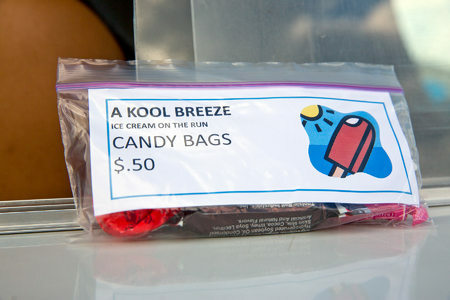 In the summer of 2013, Kool Breeze expanded their menu to include a wider variety of ice cream plus mixed candy bags and beverages. 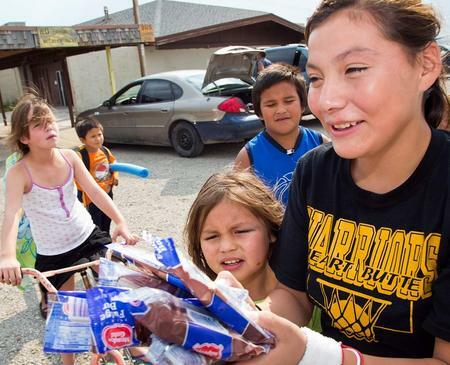 A mother purchases ice cream for daughters on the outskirts of the reservation, in a neighborhood known as FEMA-ville. 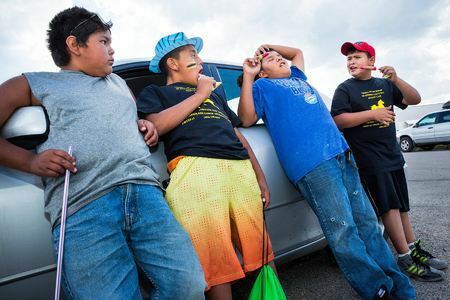 At the end of a profitable first summer, the Webber brothers were able to upgrade their truck with professional decals and stickers for the Kool Breeze truck.